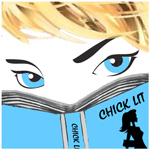 Welcome to Chicklit Club - a site especially for anyone wanting to know everything about chick lit books. With more than 3500 rated titles, 1000 authors and about 250 interviews . 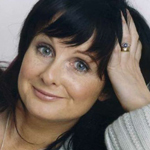 . . this is the one-stop site for readers needing their fix of chick lit. Head to our Contact page to contact the Chicklit Club or find out more about our team. Note: If you email about SEO or web design proposals, you get deleted and blocked. Please use your time more productively elsewhere. For more information about what chick lit is, there's an explainer here. If you seek the lowdown on which titles to add to your to-be-read piles and which ones to give a miss, check out our Titles A-Z listing where each book has been given a rating out of 10. To see which titles were rated 8/10 and above, see our High Raters section. If you want to know which authors to try next or uncover other titles a favourite author has penned, check out Authors A-Z. 1-3 - Recommend it to an enemy. 4 - There goes a few hours you'll never get back. 5 - Average but with some redeeming bits. 6 - Will entertain but not rock you. 7 - Worth recommending to a friend. 8 - You'll find this hard to put down. 9-10 - Absolutely brilliant. Why didn't I write this? and more, then click on the Top 10 section. Classic Reads looks at those must-read titles that have helped define chick lit over the past decade or so. Dream Themes and Multiple Choice are the places to go if you like reading by theme or can't wait for the sequel. And because we're from Down Under, there's a special Australian Made section for those wanting to catch up with homegrown authors and books.